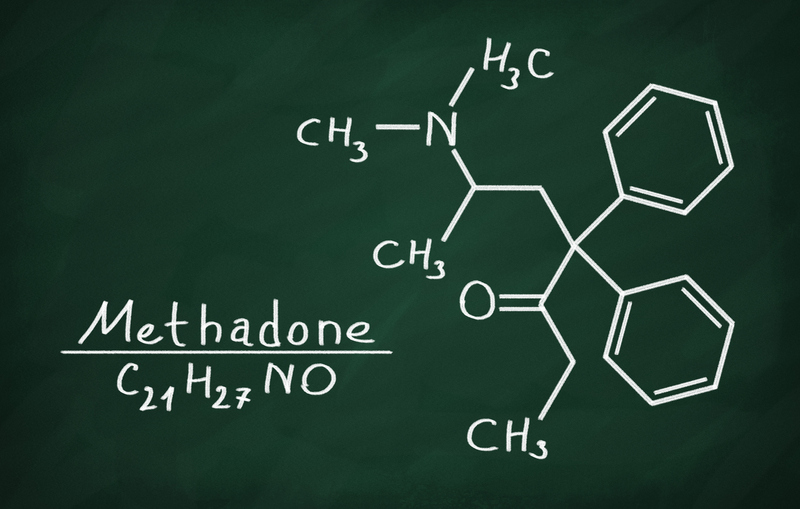 Methadone is a synthetic opiate drug commonly used for pain relief in cancer patients, and for weaning addicts off drugs; researchers at The Institute of Forensic Medicine in Ulm believe it appears capable of overcoming drug resistance and killing cancer. Methadone overcomes chemotherapy and radiotherapy resistance? Claudia Friesen, an oncologist and molecular biologist from Ulm University Hospital, has shown that the Methadone, sometimes called Dolophine, can help people who become resistant to normal orthodox therapies turn the orthodox therapies back on and even subsequently cure the cancer. In particular, Friesen has been reporting that Methadone helps people beat brain tumours like GBM. Friesen is not alone in her views. Hans-Jörg Hilscher has been helping patients with palliative care in a nearby Hospice. He claims people on methadone clearly live longer. Now Friesen has a grant from the German Cancer Aid fund to discover exactly how methadone works and to look at how other opioid stimulators could be effective by making existing drugs work better with Brain cancer. Friesen is part of the team at the Institute of Forensic Medicine at the Hospital under Medical Director Erich Miltner. Her original findings were on leukaemia where she showed that some cancer cells have opiod receptors and these could be blocked and the cells killed by repurposed drugs such as methadone. Healthy cells remain unharmed. While methadone was found to perform to the same level as chemotherapy drugs and radiotherapy on non-resistant cancer cells, methadone was also found to kill cancer cells that had become resistant. Methadone is a synthetic opioid. Normally, opioids are part of a broad range of compounds that can suppress pain receptors. The main use of Methadone is in chronic pain management. The Cochrane Institute concluded from research that there was not much difference in Methadone and Morphine for pain relief. Friesen has also conducted an 80 person trial on the effectiveness of methadone with Temozolomide (TMZ). Under normal circumstances, the cancer develops a resistance to the drug within just a few months, if the drug works at all. Friesen showed that Methadone improved the cancer cell killing power in combination with Temozolomide and then, after the drug stopped working, resensitised the cancer cells again to the action of the drug. The Ulm team are now looking at other opioids and which ones work best, and at what doses. Clinical trials would follow. Chris Woollams, former Oxford University Biochemist and a founder of CANCERactive said, "This research is a parrallel extension of the work being done with cannabis and brain tumours and it is important. The only real weapon in the fight against GBM is Temozolomide, a 1986 approved drug, and that works in only 20% of patients, although you can make it work better with Berberine. This research is important, although work with Electrical Fields and virotherapy may by-pass it. I'm just not sure that a drug is the answer to a brain tumour. Methadone does seem a step forward though. The real question though is 'Can Methadone help any drug work longer with any cancer? the research so far seems to show that's possible." You should not use methadone if you have asthma or breathing problems, or if you have blockages in your stomach or intestines.